South Africa’s Zuma resigns; what next? His personally owned housing complex (bottom left). He spent government money to put in a swimming pool and other luxuries. 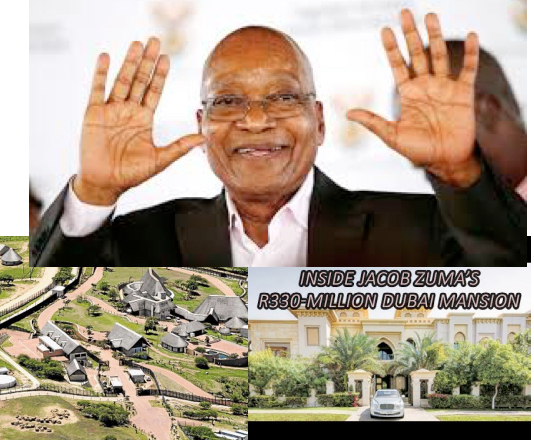 The billionaire Gupta family, with which Zuma has close ties, also bought him this mansion in Dubai. Jacob Zuma has resigned as president of South Africa. The immediate reason was his corruption scandals, but the underlying reasons tell a tale that workers around the world should consider. It is a tale of how a mass workers struggle lost its way and lost control over its own leaders, who then used their positions for their own personal enrichment. He was a heroic and courageous leader, but he then accepted capitalism. Having given up on socialism, there was only one alternative: Attract foreign capital. But international capital only only enters if it sees a chance to pluck some ripe fruits, if and only if there is political stability and potential profits. South Africa was potentially ripe for the plucking — if the workers movement could be tamed. So they set about doing that, starting with taming the unions. 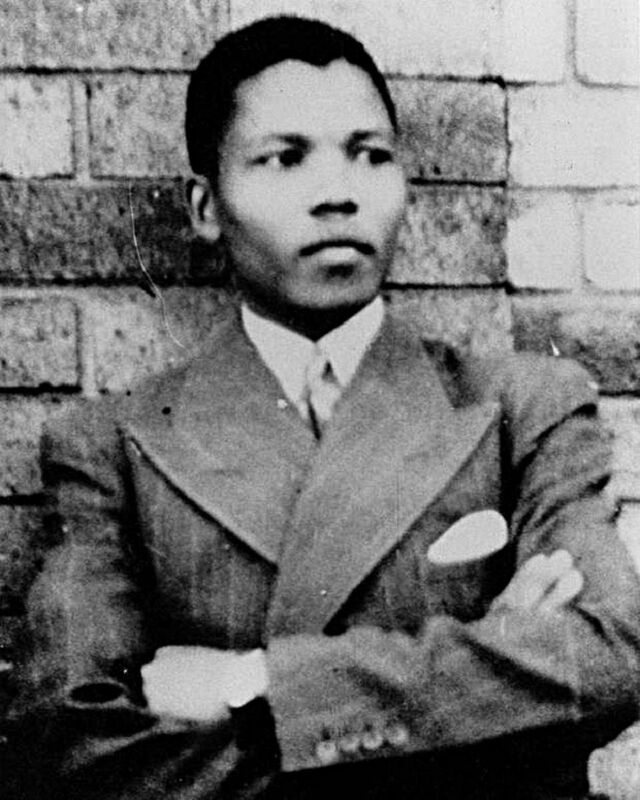 An important step was to buy off the union leadership, and a major target was the head of the all-important union for South Africa’s all-important industry – mining. That would be the National Union of Miners’ president, Cyril Ramaphosa. He became chairperson of MTN corporation and was also given a seat on the board of the mining company Lonmin. He parlayed his position into becoming one of South Africa’s richest men. He also became a top official of the ANC and is now slated to take Zuma’s place as South Africa’s president. 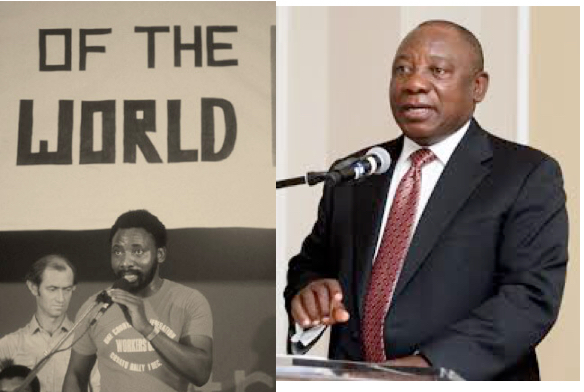 At left he is speaking at founding of the Congress of South African Trade Unions under the banner “workers of the world, unite!” At right, here he is as a top capitalist now. He called for the crushing of the Marikana miners. Ramaphosa’s rise symbolizes the rise of a black bourgeoisie (capitalist class) in South Africa. Whereas black South Africans compose about 86% of the population, they were only 8% of company executives in 1996. By 2015 that figure had risen to 41%. The end of apartheid did benefit the black working class also. The “Economist” explains, “As the economy grew from 1994 to around 2009, GDP per person increased considerably, as did employment. As a result, living standards jumped. From 2001 to 2015, the share of the population living in LSM 1-3 (the three bottom tiers of a ten-point scale of living standards) shrank from almost 40% to 10%. Since 1996 the number of people living in proper houses has more than doubled; the numbers with access to lavatories and electricity have grown by even more.” But considering the pitifully few numbers living in proper houses or with access to basic facilities in the first place, a doubling of those numbers doesn’t mean a whole lot. 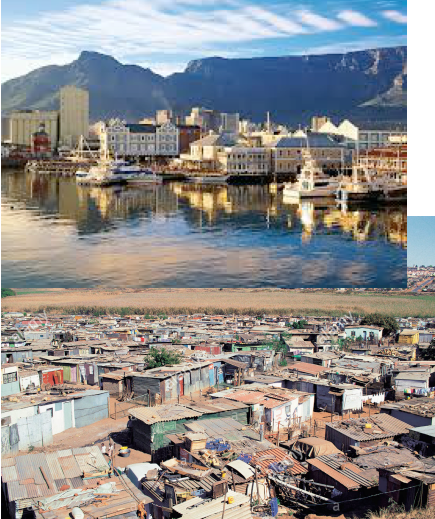 While the rich live in luxury, millions live in shanty towns. 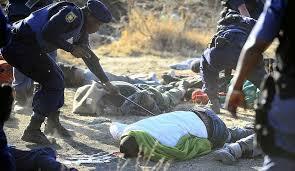 Striking miners killed in cold blood at Marikana. Now incoming president Ramaphosa had called for this the day before it happened. A signal event was the Marikana mining massacre of 2012. There, miners were fed up with the NUM leadership’s lying in bed with management. They joined a new union, the Association of Mineworkers and Construction Union (AMCU) and went on strike. On August 16, a peaceful march of the striking miners was kettled by the police who then attacked with assault rifles, murdering 34 and wounding at least 78. In the process, miners hiding behind rocks were hunted down and shot in cold blood. This, in a nutshell, is the contradiction that faces the world’s working class under capitalism. To have jobs, they need to “reassure foreign investors and local businesses.” But they can only do that by accepting low wages and allowing capital to invest more or less free of environmental restrictions. The more we have, the less we have. The only solution is to take the capital out of their hands and put it to the uses that we want it put to. That also means bringing down the governments owned by capital and building new ones, owned and controlled by the working class.